1. 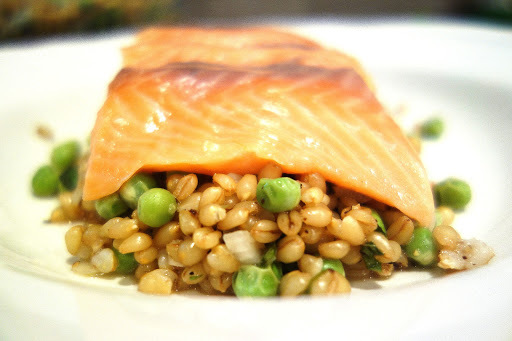 Add the farro to boiling water. Reduce the heat, cover, and simmer for about 30 minutes or until the farro is tender. Drain and allow the farro to cool. 2. Add the peas into boiling water. Let the peas boil for about 5 minutes. Drain and allow the peas to cool as well. 3. Combine 2 tbsp of lemon juice, champagne vinegar, olive oil, and salt & pepper to taste to make the dressing. 4. Cut the salmon, pour the remaining lemon juice over the salmon and let it sit in the lemon juice for a few minutes. I got the salmon from Whole Foods. 5. 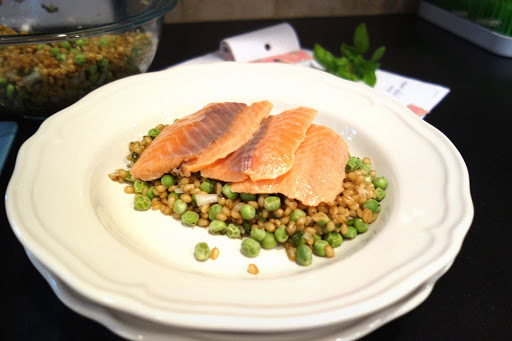 Combine the farro, peas, onion, basil, and the dressing. 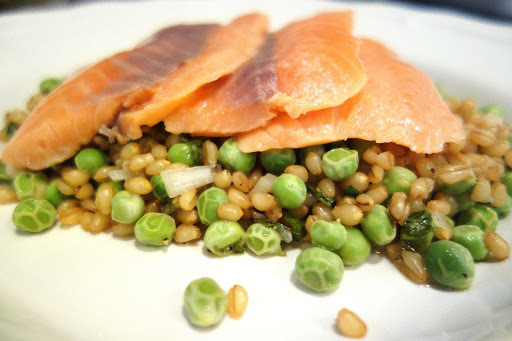 Arrange the salmon over the farro salad and enjoy this light and fresh summer salad. This entry was posted on June 21, 2013 by natalyaperullo in Food.